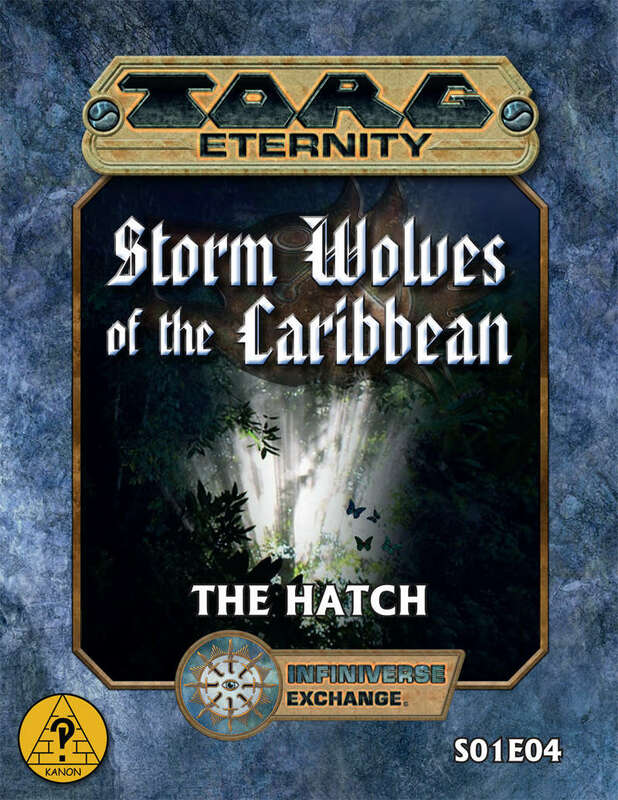 This adventure expansion for Storm Wolves of the Caribbean continues the epic fight for the Bahamas Triangle with new adventure episodes. After exploring the Berry Islands and the southern part of the Bahamas Triangle, including an encounter with a mysterious Container Ship, the U-94 returns to her permanent base on Great Harbour Cay. Here the characters are informed about a heinous crime and a missing religious idol. During their hunt for the miscreant, they face many more mysteries, including the greatest of them all: an enigmatic Hatch in the middle of the jungle! • Enough adventure material for up to 2 Acts. • In-depth information about the mysterious KANON Initiative.